Researchers continue to find that exposure to certain pollutants can cause cancer… and some areas in the United States are more prone to this exposure than others. Do you live in an area that puts you at high risk for developing cancer? A new study from researchers at UCLA has found that children who were frequently exposed to exhaust from cars, trucks, and other vehicles while in the womb and during the first year of their life tended to have higher incidences of childhood cancer, especially three fairly rare ones. Of the nearly 4,000 children in the study, those exposed to high levels of air pollution were more likely to develop cancers of the white blood cells, eyes, and reproductive organs. While the study is the first to look at pollution and childhood cancers, specifically, there are countless studies that have found links between environmental toxins and cancers in adults as well. 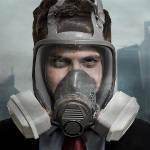 Pollution and other environmental concerns are likely the root cause of upwards of 75% of cancers in the United States. As levels of pollutants are different across the United States, it turns out that where you live may have a significant impact on your likelihood of developing cancer at some point in your life. So-called “cancer clusters” have been identified by epidemiologists in regions where there is a sudden increase in one type of cancer, particularly rare cancer, and especially among age groups that are not normally affected by that type. While not all of these regions have been studied extensively, it may be the case that these areas tend to contain a larger concentration of pollutants than others. Check out this information for a map of the United States, color coded to show the areas with the highest rates of cancer, as well as information about environmental and occupational factors that might lead to cancer. Latest Headlines » Wellness » Is Pollution Increasing Your Cancer Risk?